for $149,999 with 3 bedrooms and 1 full bath, 1 half bath. This 1,813 square foot home was built in 1910 on a lot size of 49 X 155. 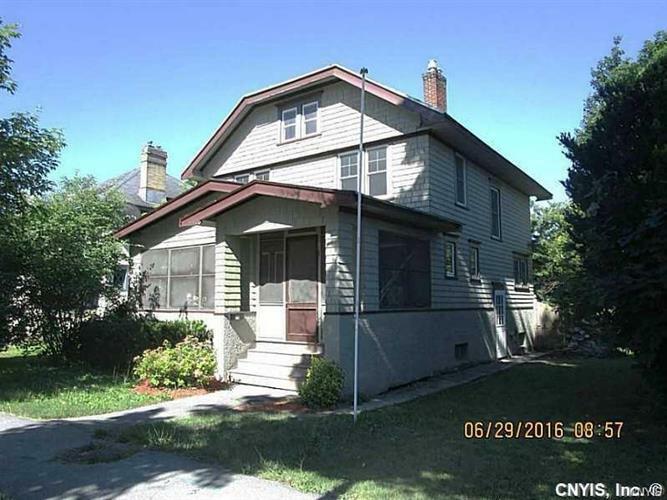 Attractive location on Park Circle and walking distance to Thompson Park/Zoo where you can walk the dog and enjoy visiting the zoo and park. Quaint home with finished attic. Updated kitchen features solid surface counter tops and stainless steel appliances. Formal dining room is open to the living room with original half wall cabinets. Living room features a gas fireplace and opens to a relaxing screened porch. Hardwood floors thu out the home, fenced yard and 2 car garage!